Higher education faces several challenges that include: securing acceptance for the growing number of students; providing efficient and competent faculty supported by technical and administrative staff; providing effective learning environment, producing competent graduates capable of innovation, creativity and competition in the local regional and global market; using the technology in teaching and learning for students of all ages; supplementing the national economic growth, and maintaining a reasonable level of tuition fees. In response to these challenges, many public and private universities were established in Jordan with different visions missions and objectives. This relatively large number of universities opened many options for students seeking university programs that suite their own capabilities, satisfies their personal needs, fulfils the requirements of the job market and matches their financial capabilities. Having so many options opened for students made them more selective and their demand has increased for universities seeking innovation, creativity and quality assurance and they become less motivated for educational institutions unwilling to update their programs and changing patterns in presenting programs and teaching methods, assessment and response to the job market and community requirements. Accordingly, the higher education institutions and universities, in particular became involved in reconsidering the traditional methods of work to maintain their presence at present and future. Thus, universities were actively engaged in the search for new ways in delivering their academic programs, and became willing to accept innovative ideas to push teaching and learning processes, develop the institutional performance, provide administrators with high academic values, pay attention to provide students with personal skills such as communication and teamwork, push forward the process of research and innovation, and pay attention to community services. 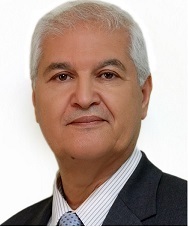 In this sense, and to enforce all higher education institutions in Jordan to push forward for implementing the quality measurements, all institutions of higher education in Jordan became committed to binding regulations and instructions of the Ministry of Higher Education and the Higher Education Accreditation Commission. It became mandatory for all (public and private) higher education institutions to get the general and specialized (program) accreditation. Hence, establishing units for quality assurance and accreditation in the universities became a fundamental requirement requested by the Higher Education Accreditation Commission. These units would be responsible for the establishment of a culture of quality and to help educational institutions in achieving the objectives of the Higher Education Accreditation Commission. University of Philadelphia was no exception, thus the Office of Quality Assurance and accreditation was established in June 2003. This Office is administered by qualified and competent personnel who are working on achieving the goals of Philadelphia University. In coordination with the academic and administrative units at the Philadelphia University on the one hand and with the Ministry of Higher Education and Scientific Research, and the Higher Education Accreditation Commission on the other hand, the Office made several contributions in: assuring the quality and accreditation of the newly developed undergraduate and graduate programs, review the available programs for the reconsideration of accreditation in accordance with laws and regulations and standards set by the Ministry of Higher Education and Scientific Research, and the Higher Education Accreditation Commission. The Office works on collecting data and information from all University units, analyzing and classifying these data and uses them in the sound planning and through development of performance indicators to be used by the University for the benchmarking purposes. The Office contributed to the review and development of University strategic plan including the identification of issues and strategic goals and verification of their suitability to meet the needs of the university and its implementation by scheduling the action programs set by the strategic plan. The Office also communicates with the Ministry of Higher Education and Scientific Research, the Higher Education Accreditation Commission and local and international agencies on matters relate to quality assurance in the university. It also works to arrange and facilitate visits by teams of external audit in coordination with the academic and administrative units of the university. Through the office of quality and accreditation, the university is seeking to provide advice and guidance to academic and administrative units with regard to general and special accreditation; assisting the units in the preparation and verification of data documenting them regularly and systematically; spread the culture of quality and promote the successful academic and administrative practices throughout all University units; and help the units in internal and external assessment. Develop the commitment of the academic and administrative units to improving quality in the university. Support and coordinate quality assurance processes in the academic and administrative units at the university. Develop comprehensive strategic plan for the University to assure quality in all university units and follow up the implementation of the action programs with senior management of the University.